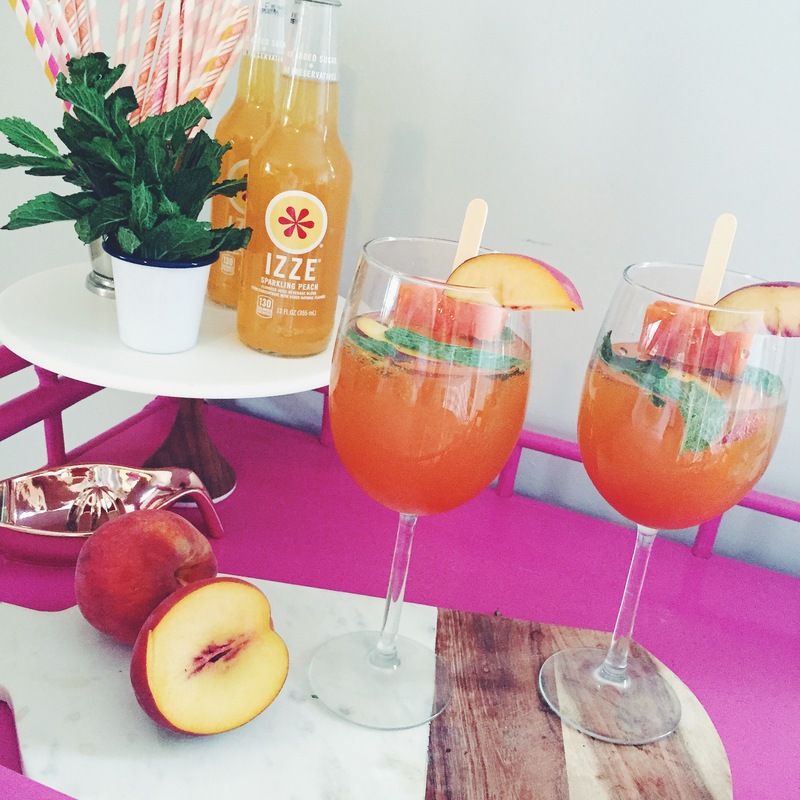 Blueberry mint simple syrup is super easy to make, I whipped up a batch this weekend to top off prosecco for a sweet, seasonal cocktail. 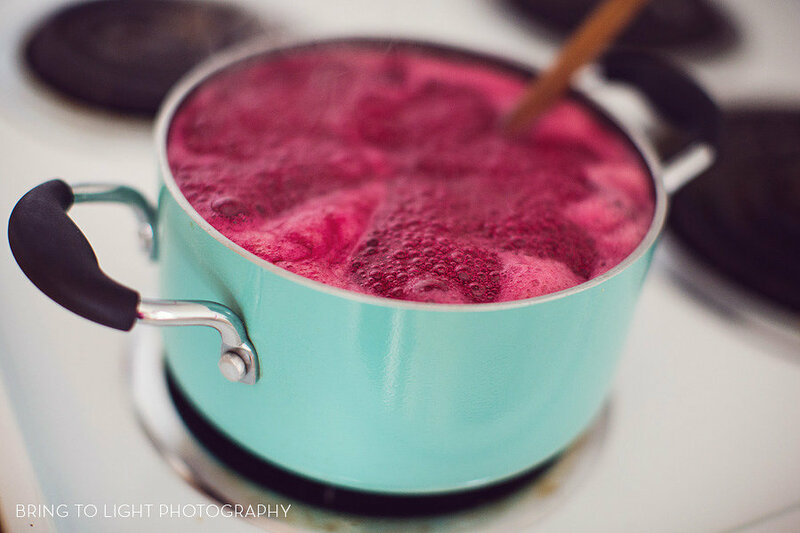 To make the syrup, combine one cup of sugar, half a cup of water, a handful of fresh mint leaves, a few pieces of lemon rind, and two cups of blueberries in a saucepan. Bring all of the ingredients to a boil, and let them cook down for about 10 minutes. 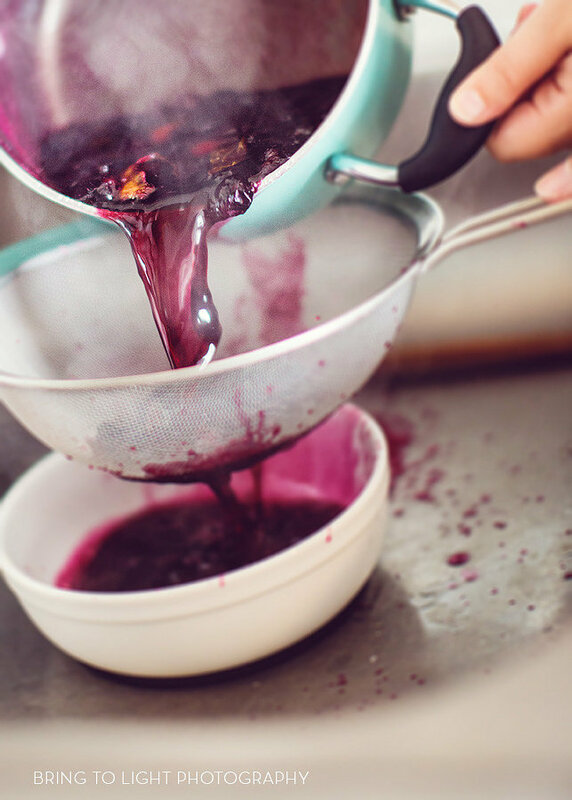 Next, strain the berries, leaves and rind and leave the liquid in a bowl to cool down. 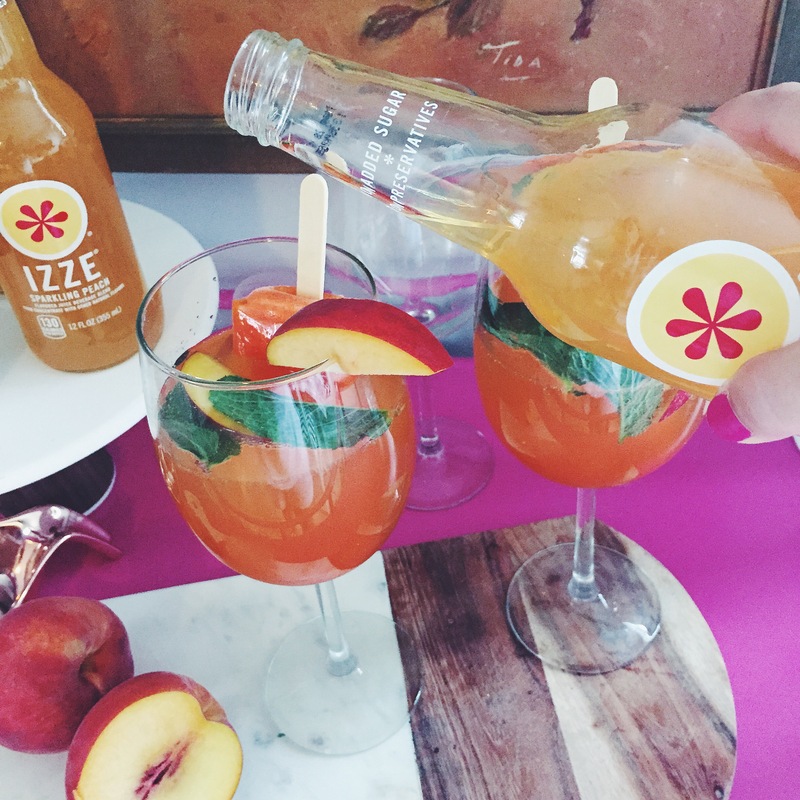 I was impatiently awaiting a cocktail, so I cooled mine in the freezer for a short time. After cooling, strain the syrup one more time. 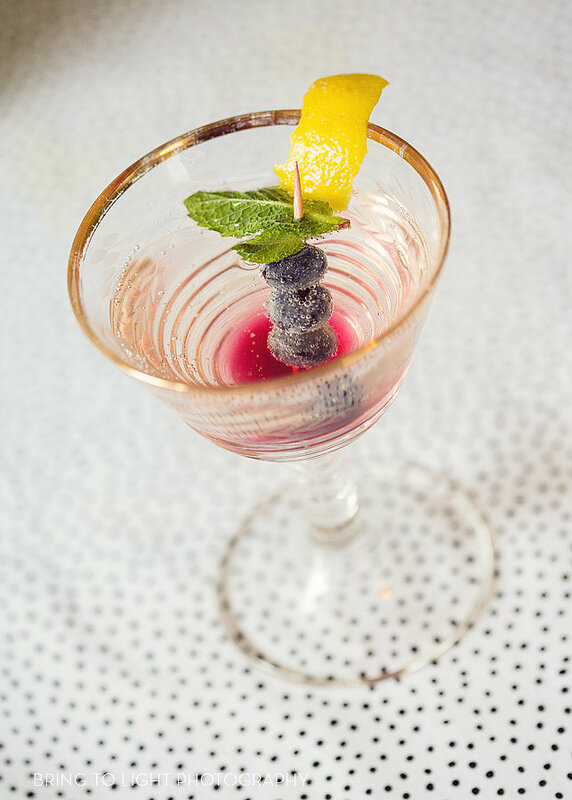 To make the cocktails, pour a glass of champagne or prosecco three-quarters of the way full, and then add the simple syrup to taste– I like mine a bit sweeter, so I added about one full tablespoon to my drink. 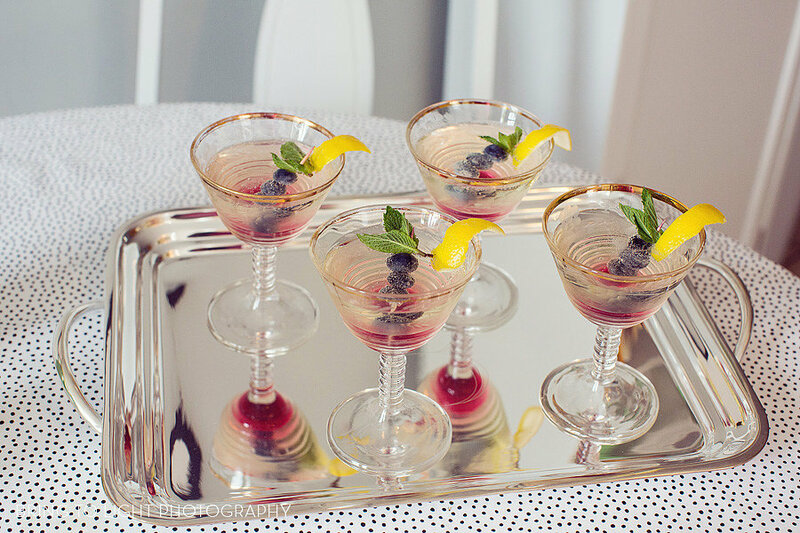 Then garnish with lemon, mint, and fresh blueberries — and cheers! 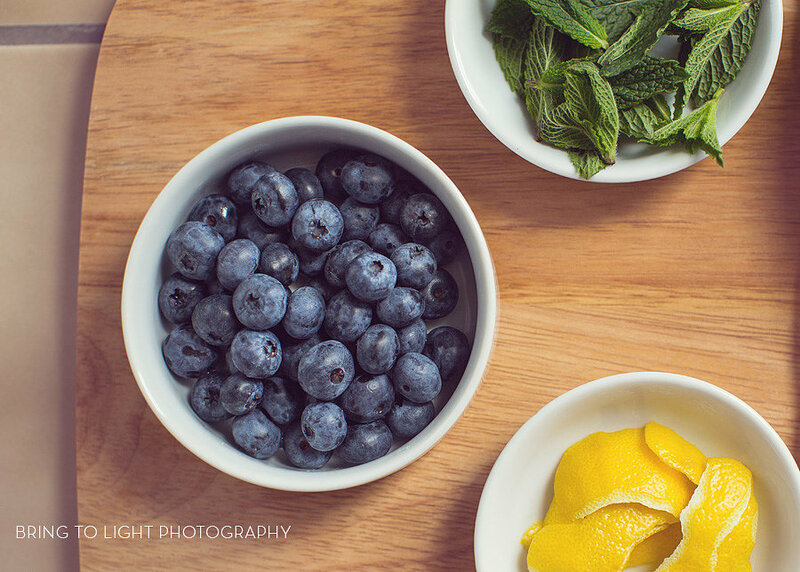 I’m thinking ways to use the leftover blueberry mint simple syrup — perhaps on a bowl of vanilla bean ice cream? 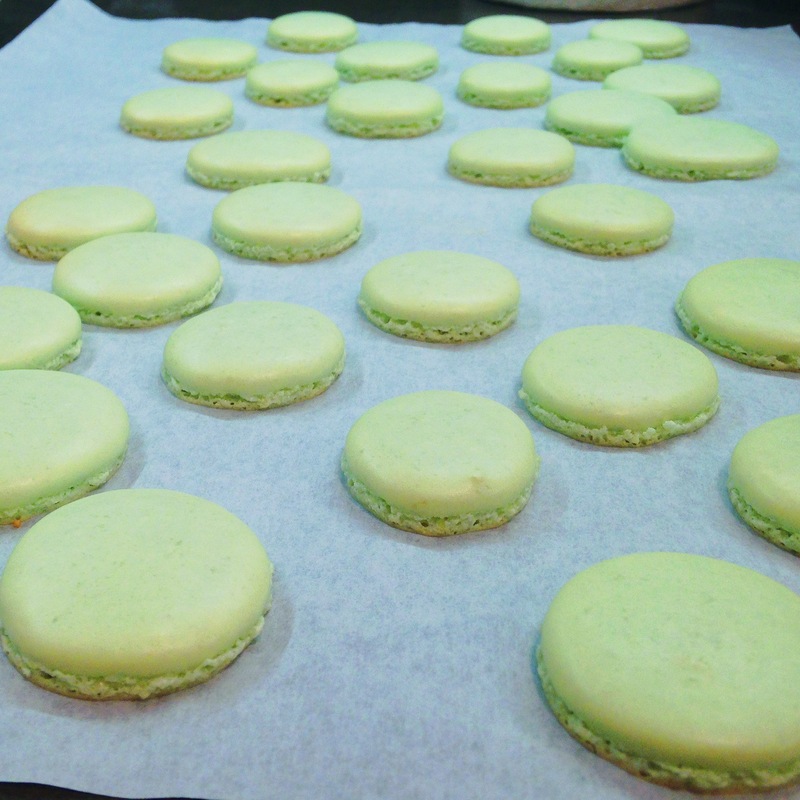 Last year after my birthday I wrote up a “30 before 30” list of things I wanted to accomplish and do — and the tastiest of goals on that list was to learn how to bake macarons. 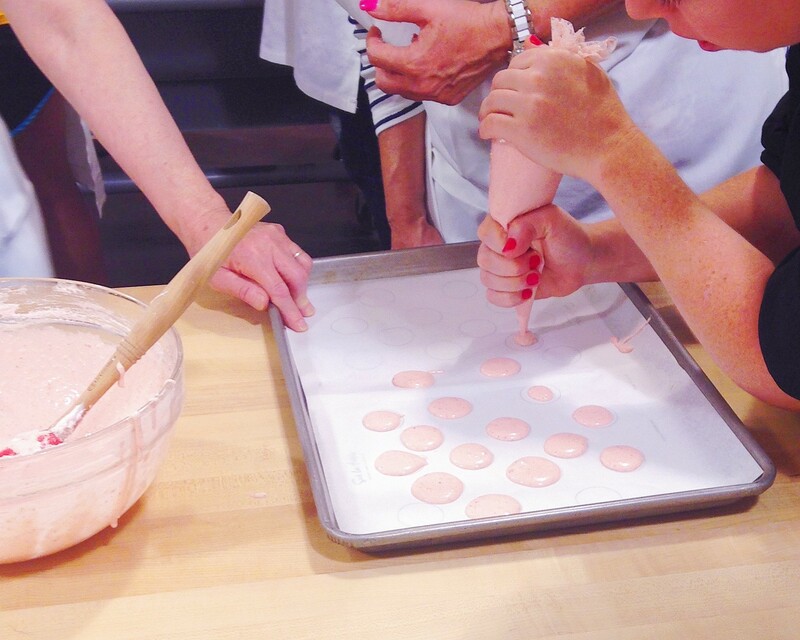 This weekend I tackled both by taking a macaron baking class at Sur La Table with sister and our friend! 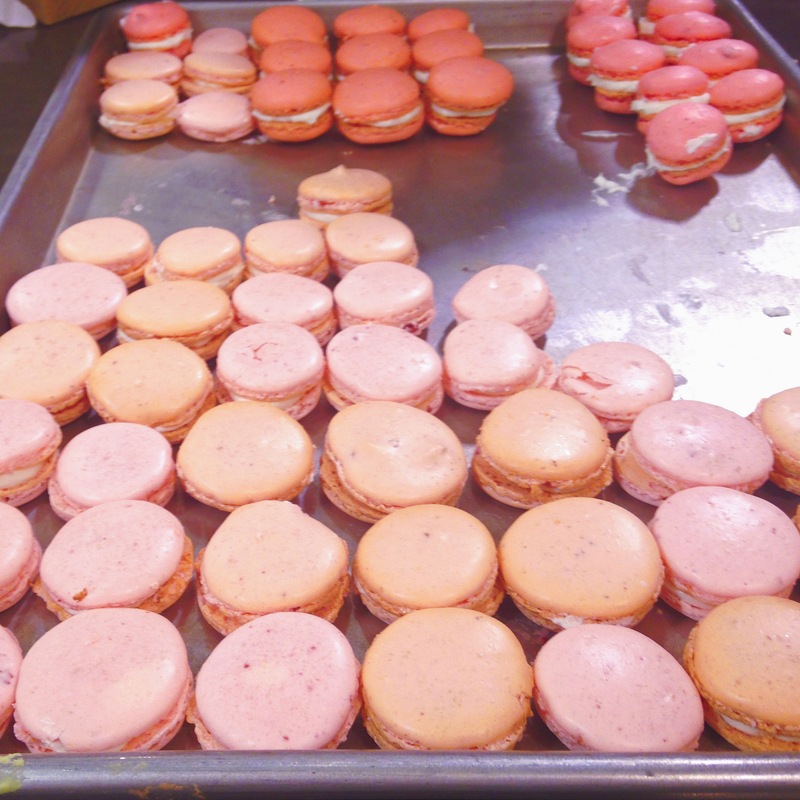 My greatest takeaway from the class was that now I understand why macarons are so expensive — it ain’t easy to make them! But our awesome teacher gave us lots of tips to perfect this tricky baking skill. 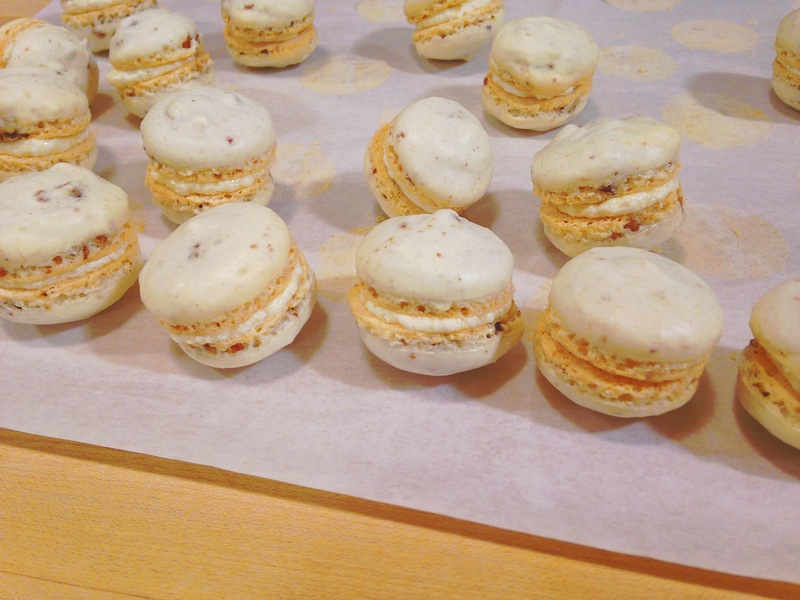 We made some delicious flavors: mint with chocolate espresso ganache, strawberry with champagne butter cream, and then the wild card… bacon macarons with maple cream filling. 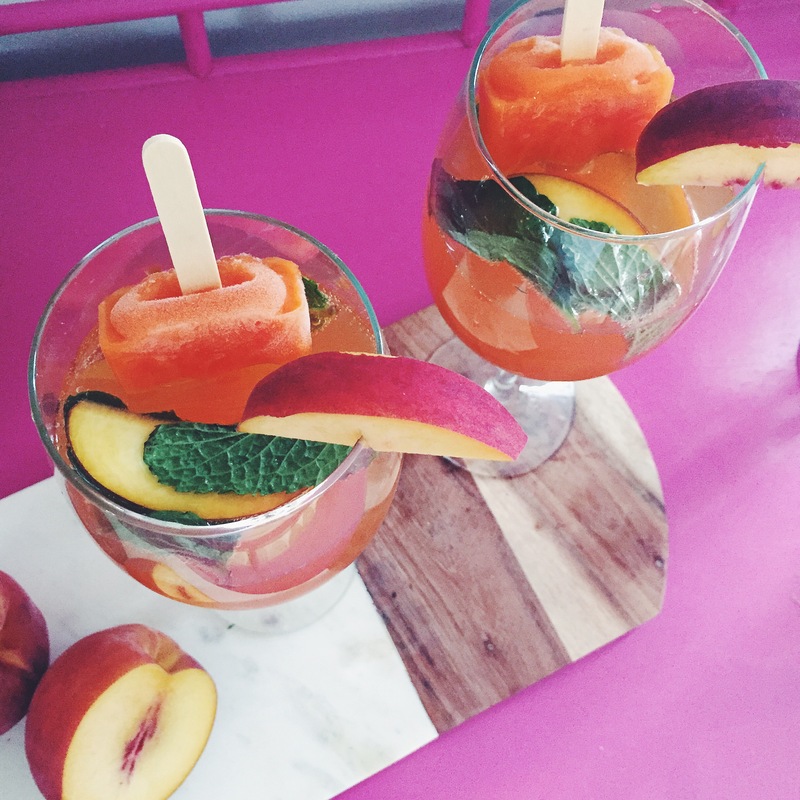 I will totally try making them again (on a less humid weekend!) 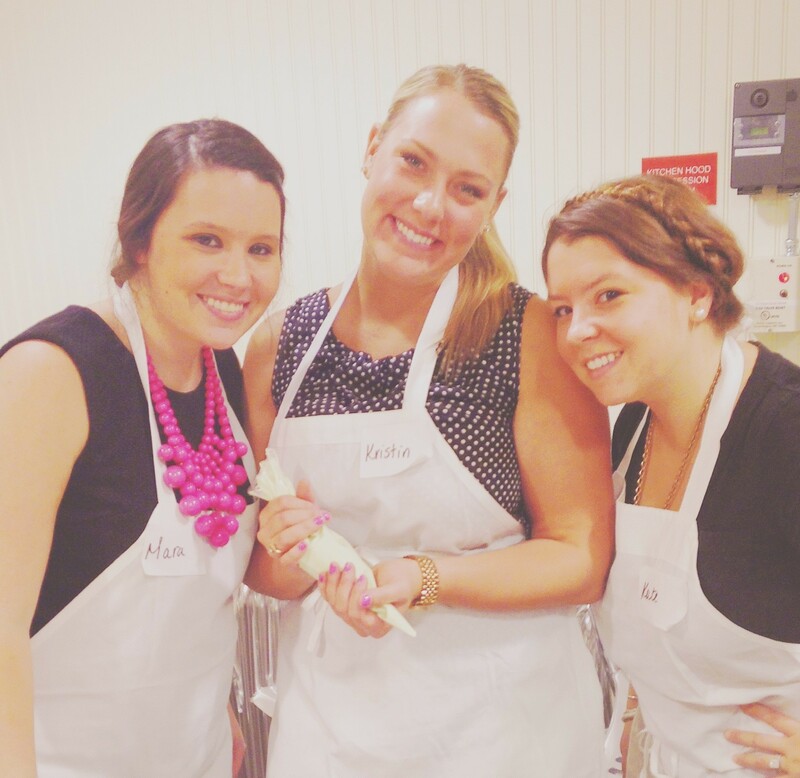 and am already hunting for my next cooking class to take because we had so much fun. 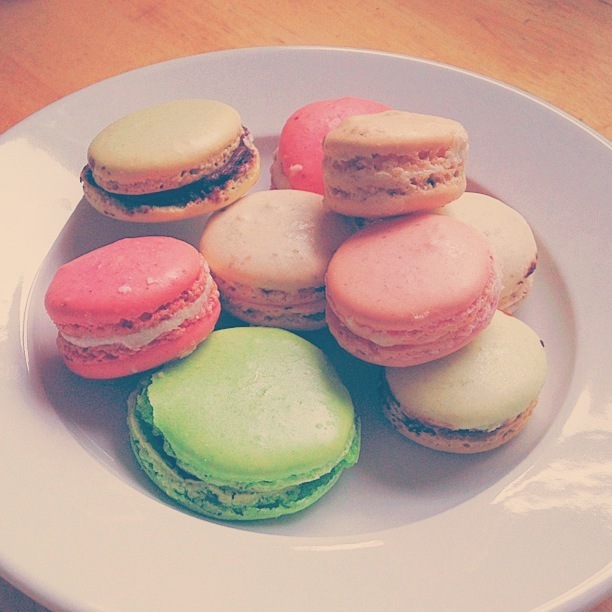 And bonus: I now have 2 dozen macarons to snack on this week! 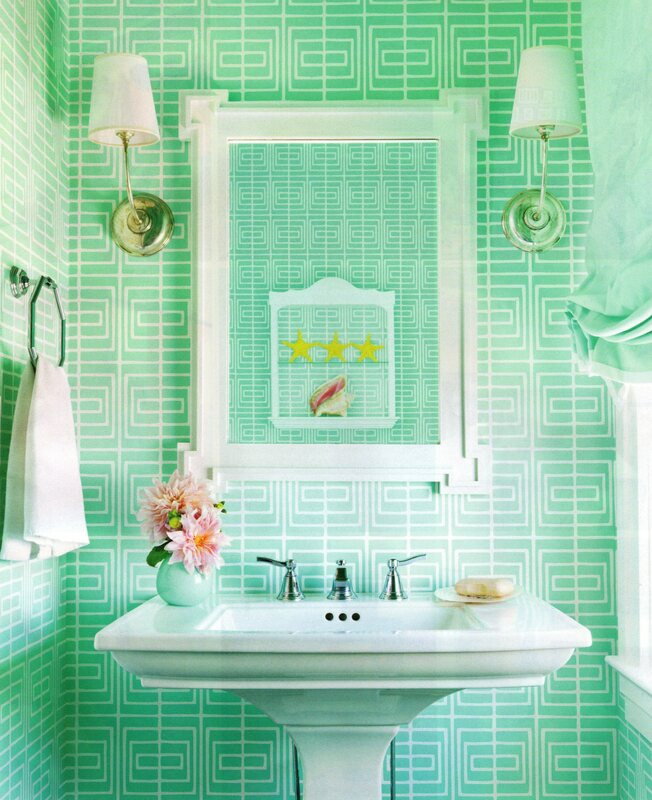 Whenever I see pictures of a mint and white bathroom I tear them out for my ‘someday’ inspiration folder. 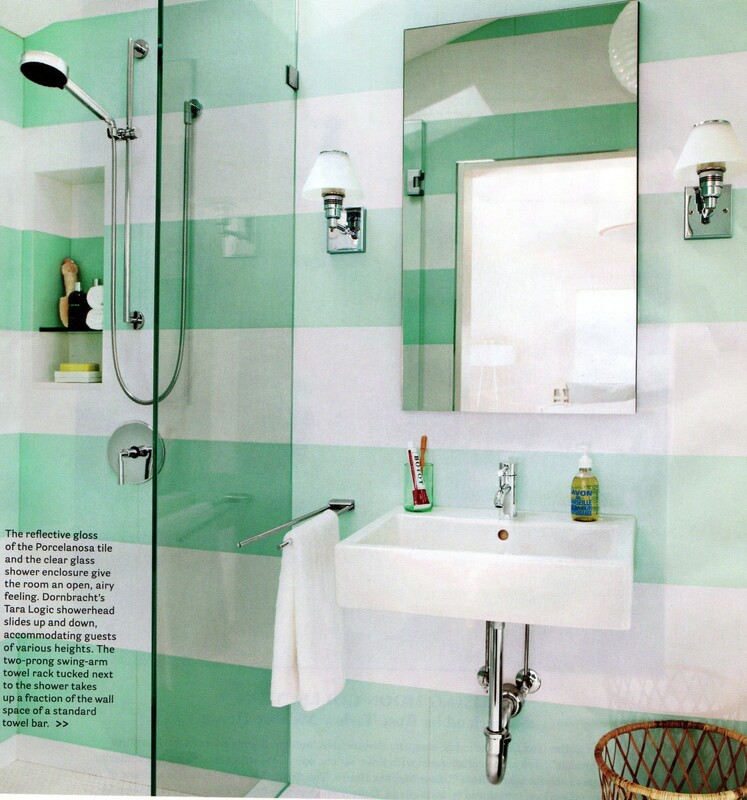 There’s something fresh and clean about these colors in a bathroom — what do you think of this color scheme?